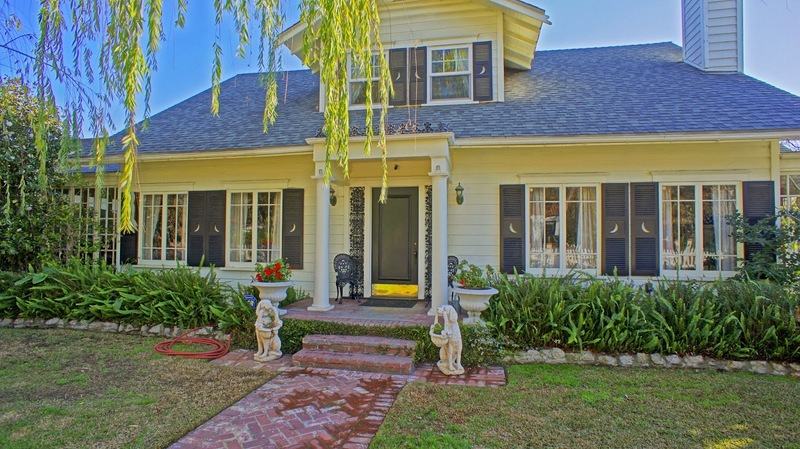 Studio City Real Estate Blog: Elegant West Toluca Lake Home Has Been Listed ! A Grand, Open Foyer leads to Charm and Details rarely seen today. This 1923 Southern Style Traditional in West Toluca Lake is Sited on an 11,000 square foot lot and boasts: Six Bedrooms, Hardwood Floors in Living Areas and Some Bedrooms, Barrel and Stamped Tin Ceilings, Large Formal Living Room with a double-sided Fireplace that is shared with a Sun Filled Library. The Formal Dining Room leads to a sunny den that makes you want to grab a book and pray for rain. The Gourmet Kitchen is a must see. Remodelled with love it features Stainless Appliances, Granite, Wolf Range with Dual Ovens, BBQ and Griddle, Butler’s Pantry, Two Dishwashers, Built-in Refrigerator. The Large Eating Area has a Built-in Hutch and Buffets. The Private Entertainer’s Backyard has a Covered Patio, Sparkling Pool, established plants and a Soothing Fountain.